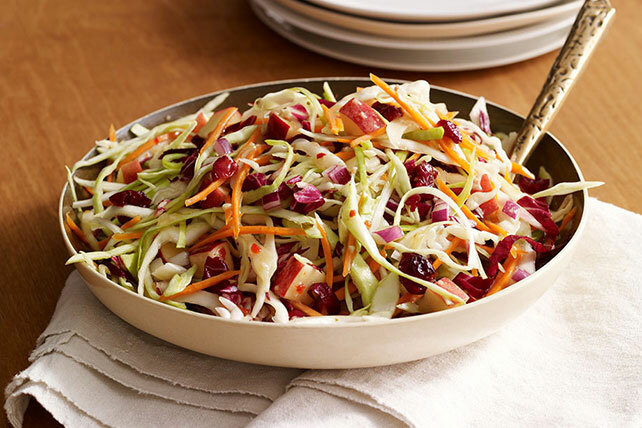 Cranberries, apples and cabbage bring the colors and flavors of fall to any table in this crunchy coleslaw. Mix dressing and syrup until blended. Add to cabbage mixture; mix lightly. Add 1/2 cup chopped toasted PLANTERS Walnuts. This colorful slaw can be refrigerated up to 24 hours before serving.